Welcome back, Dear Reader, for another dose of of exceedingly obscure Chinese Opera. 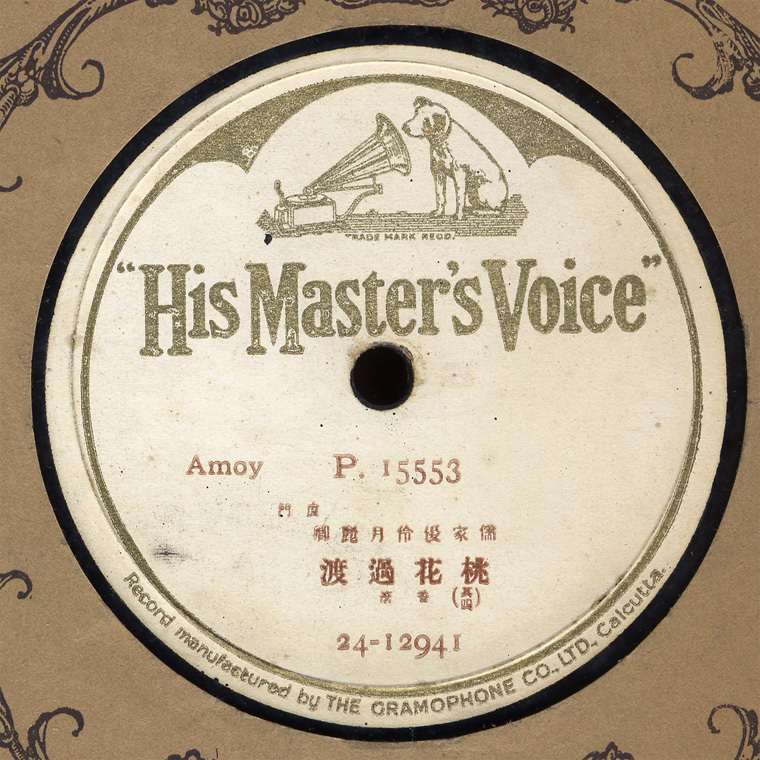 This time we have an example of Amoy Opera on the His Master’s Voice label. 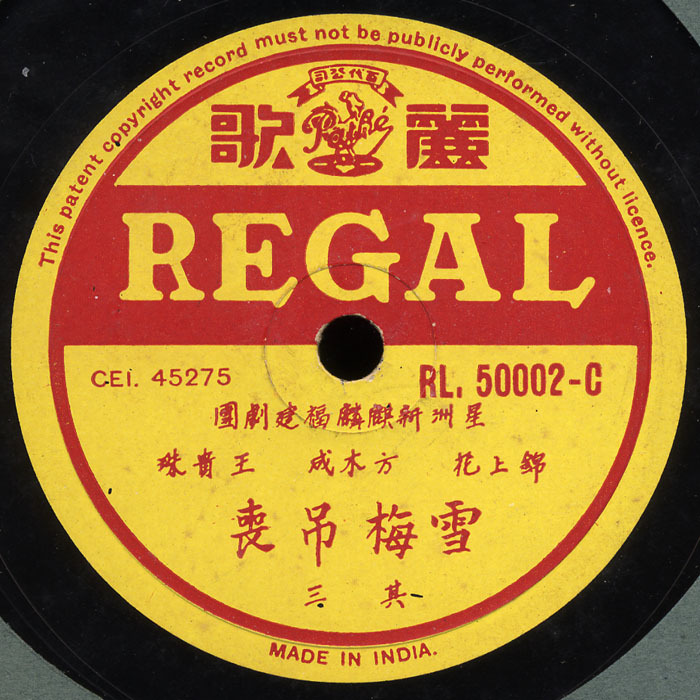 Amoy (aka Hokkien) is a language/dialect from the Southern Chinese province of Fujian, which neighbors the Guangdong province, the origin of our last posting of Teochew Opera. 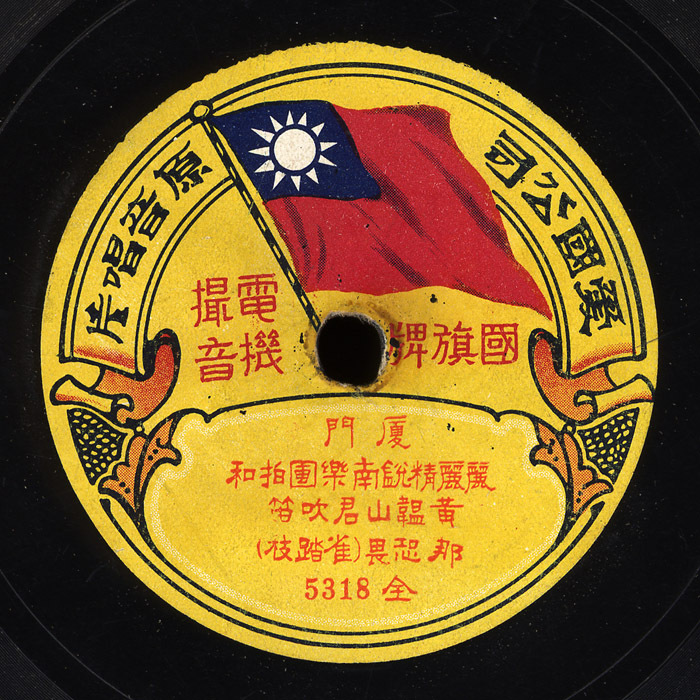 Amoy is directly across the strait from Taiwan and the language and music are basically the same. 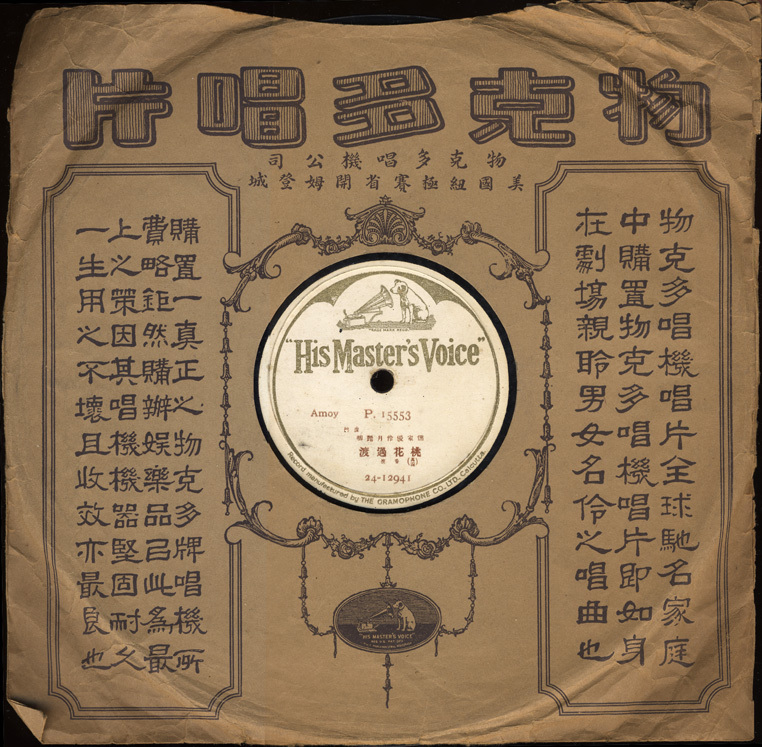 Like the Teochew people, the Fujian people emigrated to many parts of Southeast Asia, taking their music and language with them. Forms of this opera style are still popular in the region today. A bit noisy at first, but it clears up…Enjoy!